It’s an expansion on what is already the widest implementation yet of the so-called “Mexico City policy” — one that has won praise from anti-abortion groups, but that critics say is having a devastating effect on rural health care in developing countries. The policy, named for President Ronald Reagan’s announcement in Mexico, has been rescinded by successive Democrat presidents and re-implemented by Republicans since its inception. It originally blocked any U.S. funds for global health from going to NGOs that worked in family planning and reproductive health. (Erik S. Lesser/EPA/Shutterstock) Secretary of State Mike Pompeo speaks at the State Department in Washington, D.C, March 26, 2019. 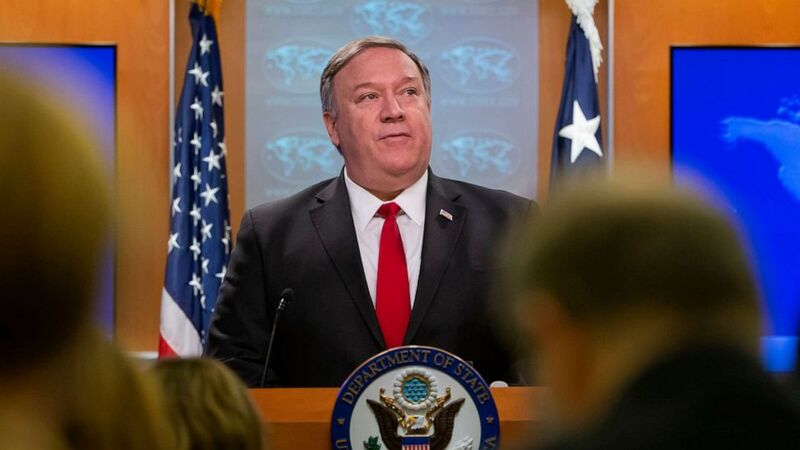 Pompeo announced the US will not assist nongovernmental organizations (NGOs) which fund third parties that provide abortions. “This is decent. This is right. And I’m proud to serve in an administration that protects the least amongst us,” Pompeo said Tuesday in Washington. The administration is also punishing the Organization of American States (OAS) because one of the groups it works with conducted “abortion-related advocacy,” according to Pompeo. The U.S. will reduce its contributions to the pan-American body that promotes democracy and good governance in the Western Hemisphere and will require a prohibition of funds for any lobbying for or against abortion in any future foreign assistance programs — a prohibition required by law for all U.S. foreign assistance. A State Department spokesperson later told ABC News the amount rescinded was $210,000 — a “proportional share of possible OAS costs” for the action at question, according to the statement. It’s unclear what exactly that action is, but the spokesperson confirmed it involves the Inter-American Commission on Human Rights, a body that promotes and protects human rights that the U.S. pushed for the creation of. In 2018, the group advocated for the repeal of laws that criminalize abortion in all cases, in particular in El Salvador. (Carolyn Van Houten/The Washington Post via Getty Images) Dr. Jean Rangomana carries supplies before opening the Marie Stopes International mobile clinic in Besakoa, Madagascar, April 9, 2018. He estimated that he would see at least 50 women seeking family planning during the clinic that day. 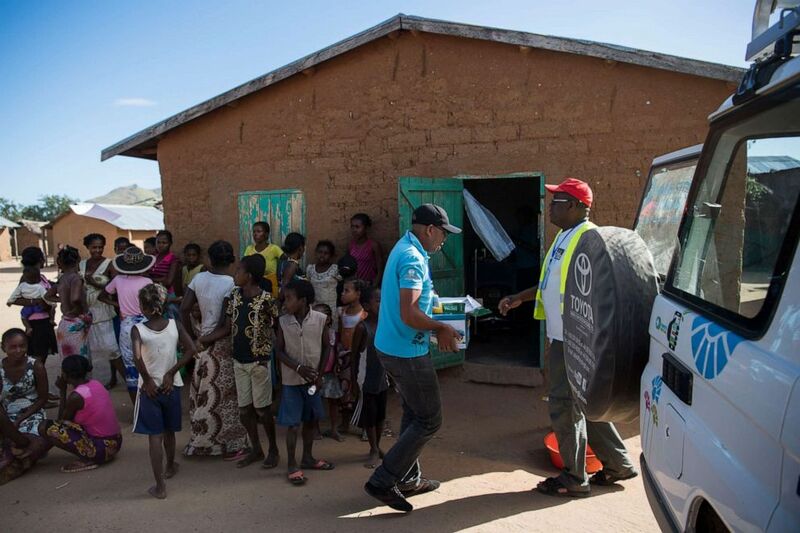 He travels across rural regions of Madagascar with a nurse and carries all of the supplies he needs for family planning procedures and education sessions in the Marie Stopes International vehicle, seen on the right. The new restrictions won praise from anti-abortion groups for eliminating what loopholes there may have been in the policy, with which Pompeo said “the vast majority of our implementing partners have” complied. 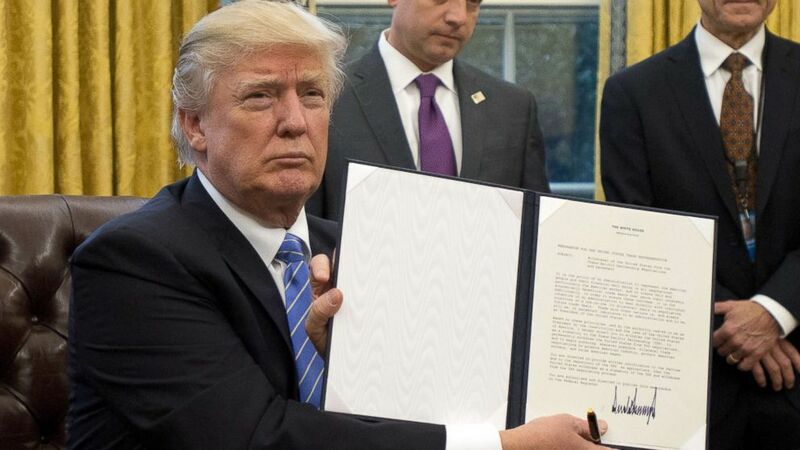 (Ron Sachs/Bloomberg via Getty Images) President Donald Trump holds an executive order titled “Mexico City Policy”, which bans federal funds going to overseas organizations that perform abortions, Jan. 23, 2017. “The theory that somehow not protecting every human life is destroying human life is perverse on its face,” he added. “One need not perform abortions in order to protect people from HIV” or other diseases combated by US global health initiatives. She added that she has requested more information on what this Tuesday’s announcement will mean.